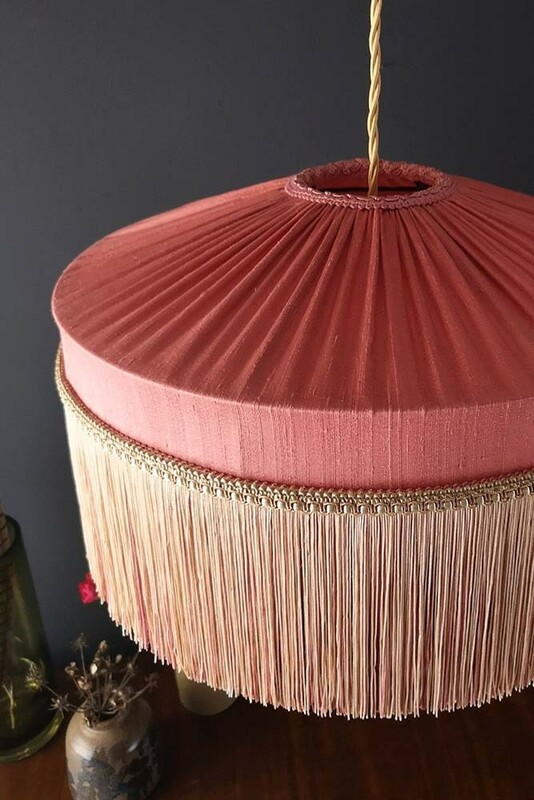 A beautiful bespoke piece the Coral Hibiscus Silk Tiffany Lamp Shade is a 1920’s inspired piece with a choice of pink straight or wavy tassel fringing. Perfect for table lights, floor lights and pendant lights this Pink Fringed Lamp Shade is hand-stitched around a bespoke bronze frame with a double layer tassel fringe in candy pink and beige. The lampshade is left unlined to allow the maximum amount of light to travel through the textured silk. Please note, that this lampshade is made to order and so has a 4-5 week lead time. This Coral Silk Lampshade is available in large, medium and small. This Coral Hibiscus Silk Shade is also sold with a choice of either a straight or wavy fringe. If you like to have a little fun with your home interiors, then you will love this lampshade! 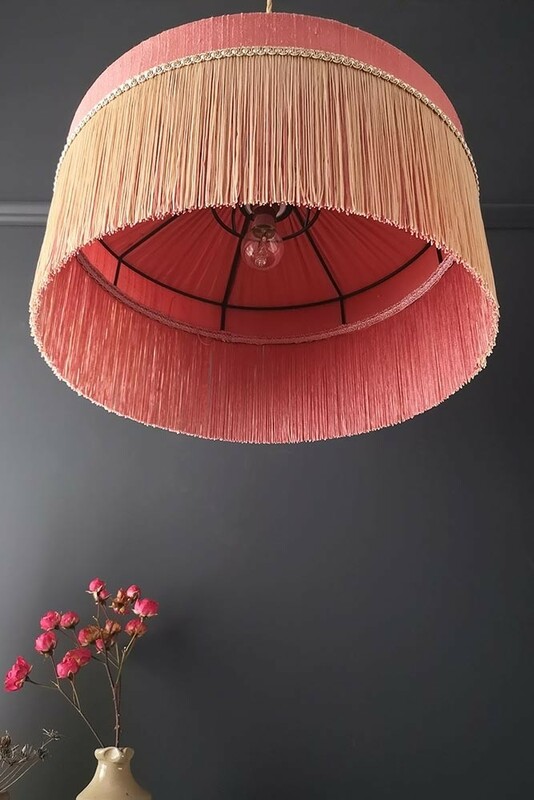 Adding fabulous texture as well as a coral colour pop to your table lamps, floor lamps and ceiling lights this is a showstopping lampshade that is bound to turn heads. 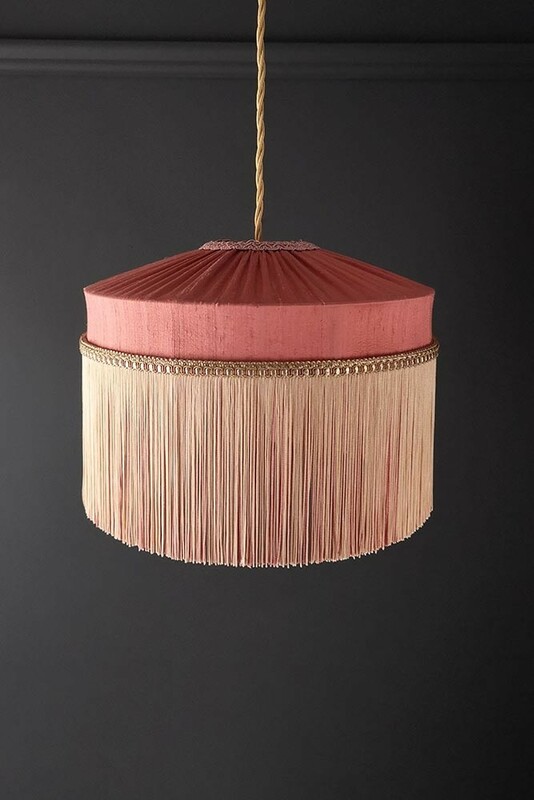 Something as damn fabulous as this Coral Straight Tassel Lamp Shade should not be hidden away. 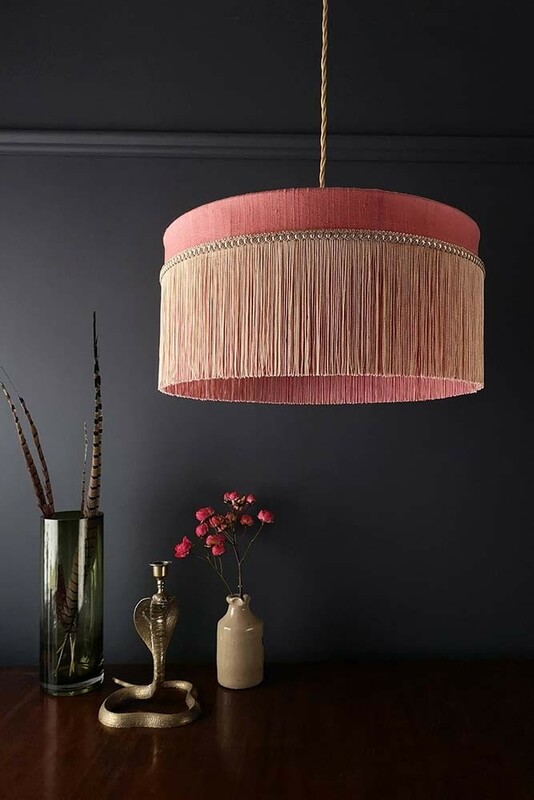 A great pendant shade for your central fitting lights, we think that this light shade could look really make an impact when hung in your hallways, entrance hall or over your dining table. Alternatively, this lampshade would make a great floor light lampshade adding a bit of punchy panache to your style spots!